Radiate your penchant for a stylish and versatile piece of jewelry with this intricately crafted eternity circle necklace. The charm of the elegant, open circle frame is elevated by adorning the entire circumference with lustrous u-pave set lab grown diamonds. 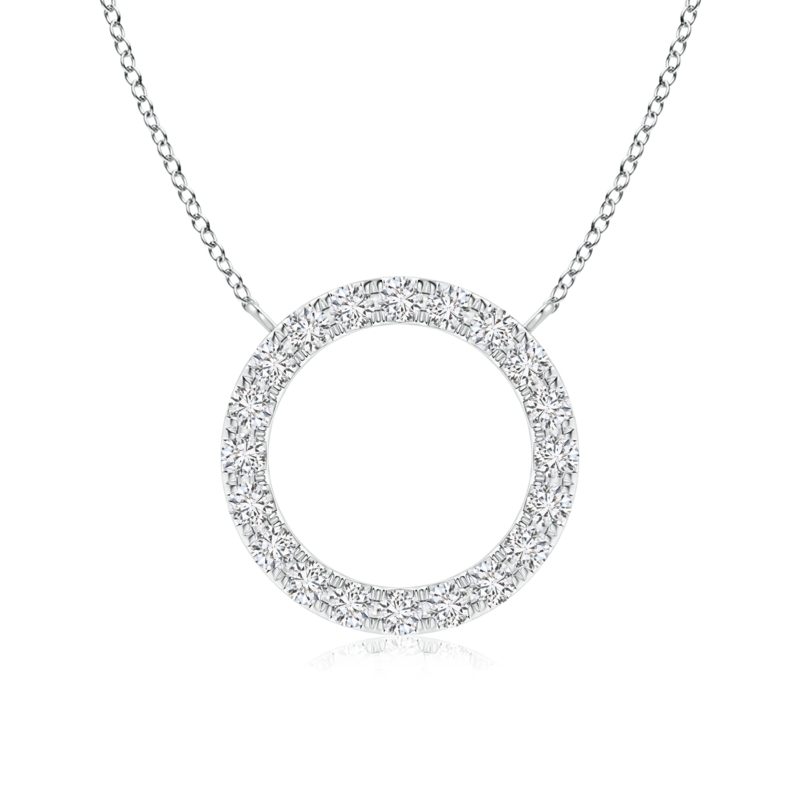 The 14k white gold metal infuses its distinctive sophistication into this pendant and uplifts the overall appeal. Purity of lab grown diamonds and a fashionable design together make this gorgeous piece of jewelry a must have!